Rising up between the Algarve and neighbouring Alentejo region is the Serra de Monchique, a range of rolling mountains clad in heavy forest. Here you will find the highest point on the Algarve; standing at 902m (2,959ft) is the peak of Fóia with its all encompassing views which span the Algarve's south and west coasts all the way to Cabo de São Vicente. A few kilometres to the east of Fóia is the pleasant little market town of Monchique itself. 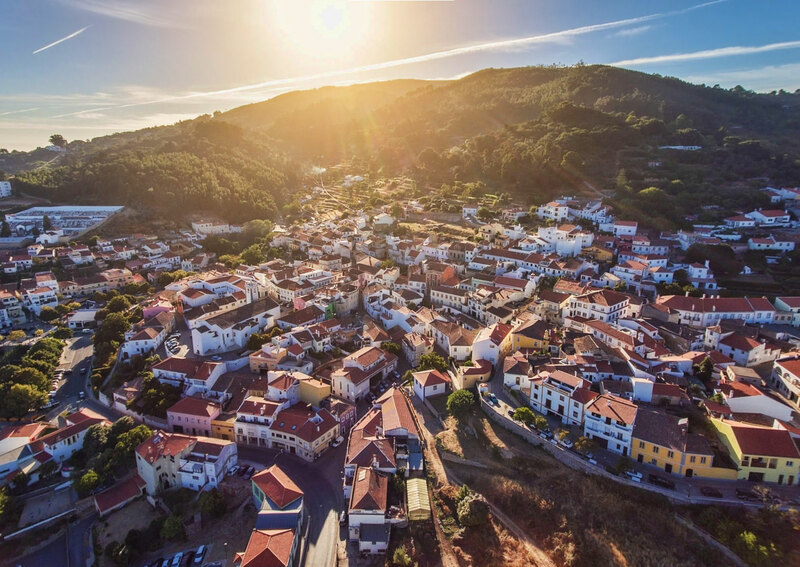 Set amongst the pine, oak and eucalyptus forest of the hills the town here is a world apart from the beach resorts the Algarve is better known for. Here the pace of life is far more sedate and the town has very much escaped the ravages of the developers. 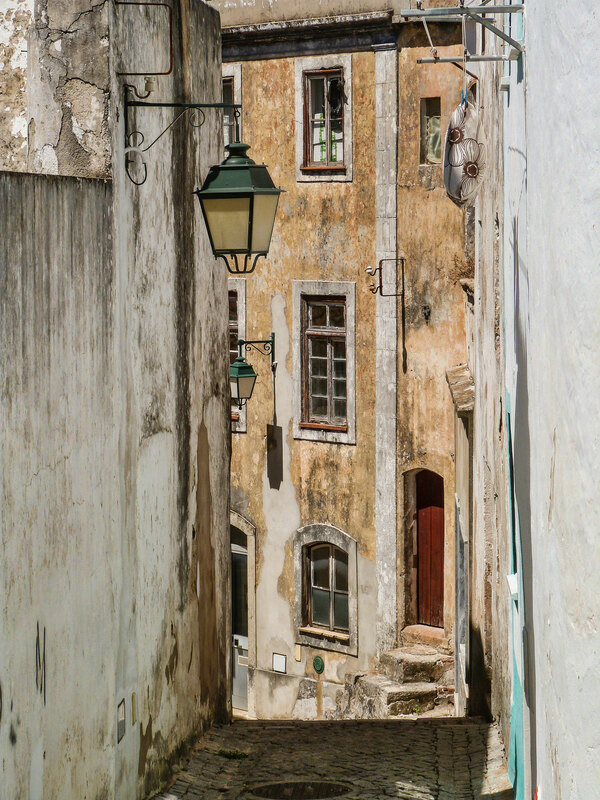 With its narrow cobbled streets that wind ever upwards from the central Largo 5 de Outubro, Monchique is a lovely place to lose an afternoon. For those with a goal it is worth heading onwards and upwards to the ruined 17th century monastery of Nossa Senhora do Desterro. Around fifteen minutes walk from the town centre this Franciscan monastery was reduced to a shell by the 1755 Earthquake. Today there is the feeling that it is slowly returning to nature, further reinforced by the enormous magnolia tree in the grounds, reputedly the largest in Europe. 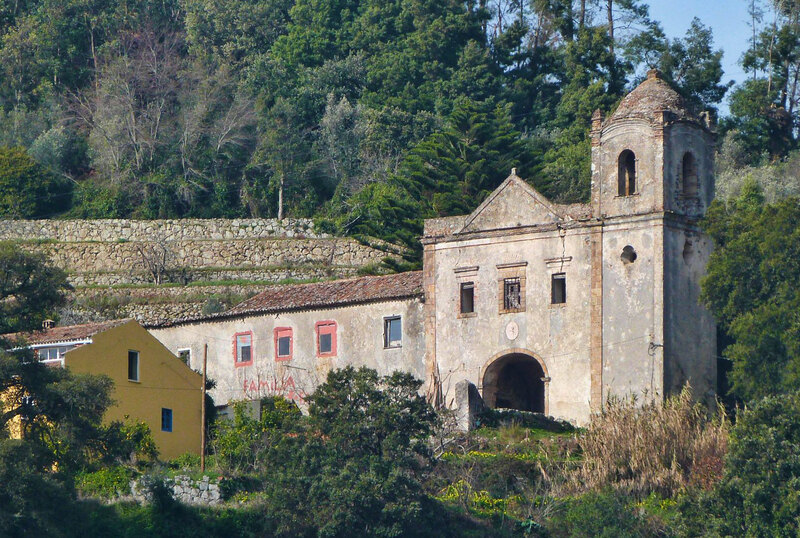 Monchique's main church, the 16th century Igreja Matriz, is somewhat better preserved. Despite being about as far inland as you can get on the Algarve the church has something of a nautical theme with both the highly unusual Manueline doorway and columns within the church featuring twisted ropes. 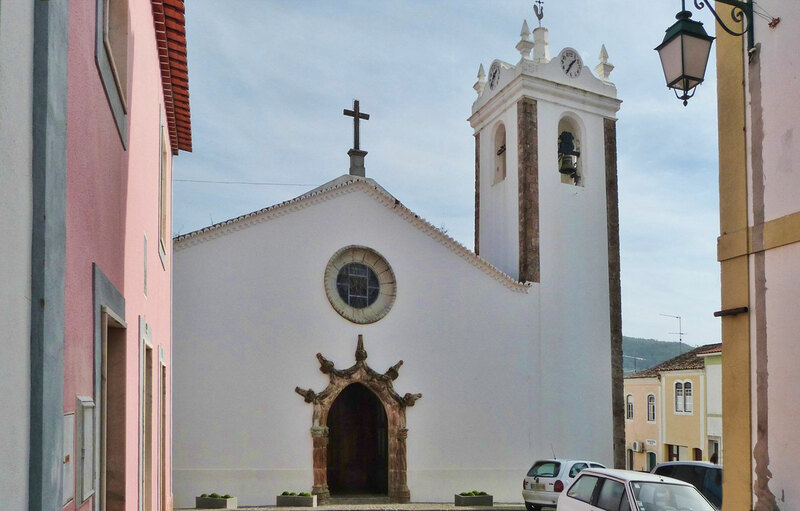 There is another church in the town, the Igreja São Sebastião. Although fairly unremarkable on the outside it does contain some lovely 17th century artwork rescued from the destroyed monastery including a sculpture of Nossa Senhora do Desterro. To get a real flavour of life in Monchique it is best to visit on market day - the second Monday of the month in the town square. Here you will find plenty of traditional fare, particularly worthy of mention are the local smoked hams. There is also furniture, with the town being known for its "scissor" chairs - small wooden X-shaped chairs which fold down flat. One theory is that these were a Roman invention. The biggest of all events though is the traditional sausage fair ("Feira dos Enchidos Tradicionais") held in March. Here you can try many local dishes including the famed "carne de porco preto" - black pig sausage.If you can't make that then there is always the local hooch, a firewater known as Aguardente de Medronho. This is distilled from the berries of the strawberry tree (arbutus) and can be as strong as 48% proof. In case all the above sounds a little energetic then you may be happy to know that Monchique is also a spa town. As early as Roman times the "sacred waters" of the town were believed to have curative, even magical powers. One legend is if you drink from the "fountain of love", an ancient font in the forest, you will fall in love with life. Other less bold claims suggest the thermal waters can cure everything from rheumatic to digestive problems. The spa even received a royal stamp of approval back in 1495 when it was visited by King João II. These days visitors can enjoy a relaxing range of therapies at the Caldas de Monchique ranging from just soaking in the 31°C water to hydromassage and steam treatments. All this takes place in a modern complex set in a picturesque ravine amongst the pine and eucalyptus trees. 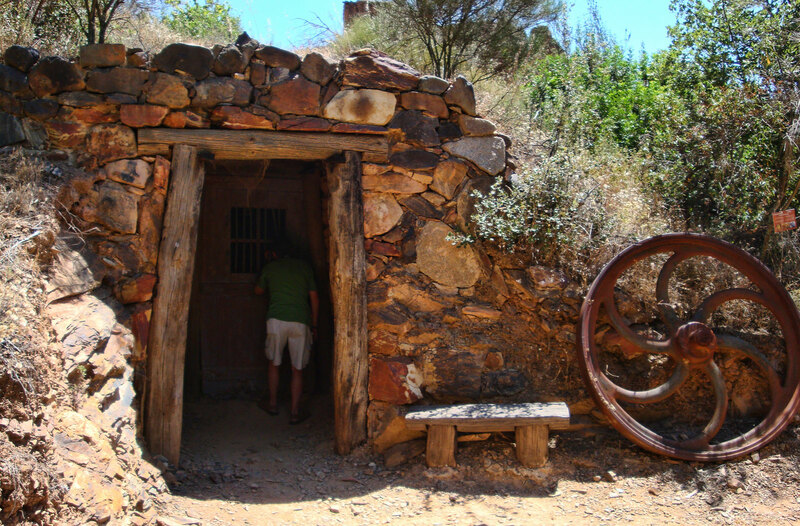 Just to the south of Monchique is the a small theme park created on the site of a disused mineral-ore mine, the Parque da Minha. As well as being able to explore the old mine workings the park features a restored manor house, traditional distillery, mini farm and a series of nature trails through the woodlands.